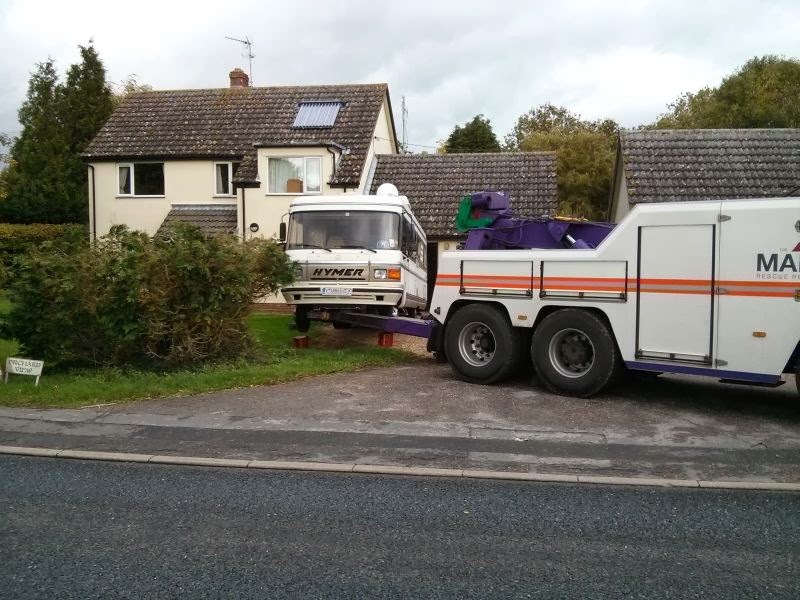 October 22nd - Hydraulic failure! 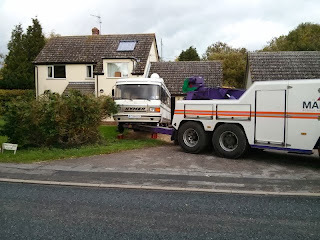 Tried to move the Hymer - and the clutch did not work. 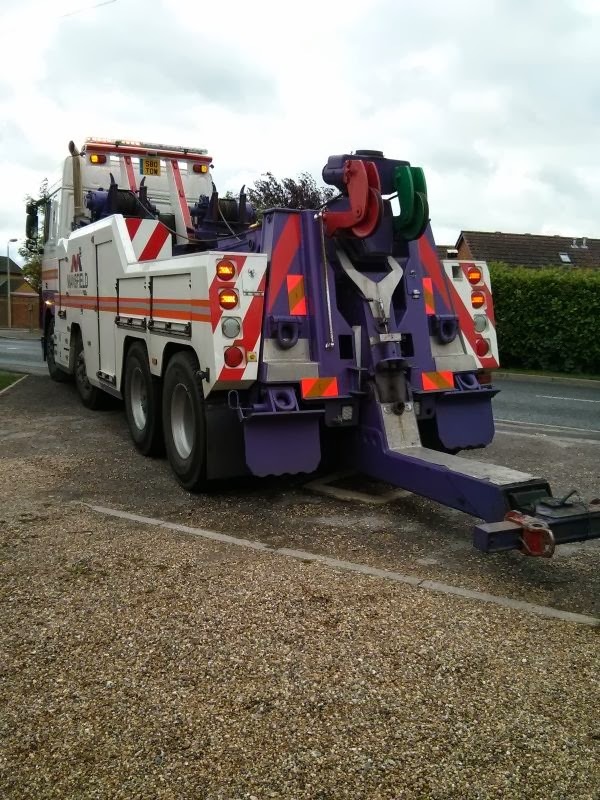 It has a hydraulic clutch, so it went off to Orwell Trucks today with a huge tow truck - courtesy of our Green Flag with the Caravan Club. Glad we didn't have to pay for this!